A 32-year-old Del Mar woman was struck and killed by a big rig early Friday morning after walking onto a freeway north of Escondido shortly after her car spun off the right side of the interstate, authorities said. The events leading up to the deadly crash began about 1:40 a.m. when the victim’s Nissan Sentra spun out while she drove north on Interstate 15 approaching Deer Springs Road, California Highway Patrol Officer Mark Latulippe said. “The Nissan Sentra was undamaged in the spin out and stopped on the right shoulder for a few minutes,” Latulippe said. But at 1:48 a.m., the woman got out of the Sentra, and for unknown reasons walked into the far right lane of the interstate “into the path of an approaching Freightliner big rig and trailer,” Latulippe said. She was struck by the truck and died at the scene. Her name was not immediately released. 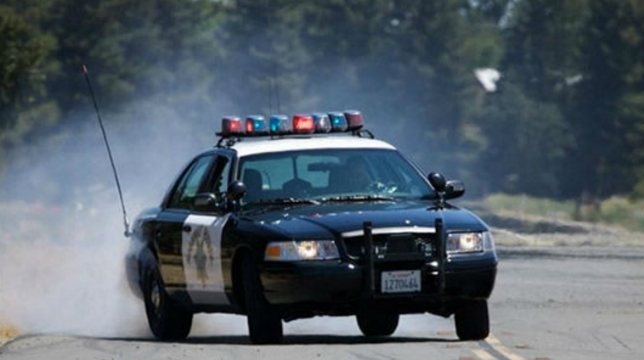 The 49-year-old Escondido man driving the big rig continued north until he could safely exit the freeway at Gopher Canyon Road, Latulippe said. Once stopped, he placed an emergency call. Freeway lanes in the area were affected until on-scene investigators wrapped up their work a little before 5 a.m., Latulippe said. The crash remained under investigation Friday morning.